Ruminating with Jonathan Allen | Marie Loughin's "I WANNA BE . . ."
Today, I have the privilege of posting my interview of Jonathan Allen, author of Corridors of the Dead, released TODAY. (Woo hoo! Streamers and fireworks!) You can find the e-book at Amazon, Barnes and Noble, and Smashwords. A print version should be available at Amazon soon. Jonathan has everything it takes to flourish in the crazy, volatile world that fiction publication has become. He is imaginative, intelligent, has great control of language, and engages well with readers and other writers. I saw in your blog bio that you wrote your first fantasy/sf novel at age 13. What was it about? Hah, funny that that should rear its ugly head again. It was a blend of fantasy and historical fiction about the period directly preceding the Inquisition. In retrospect, a lot of the fantasy elements came about because of my utter ignorance of the period. It was supposed to be a trilogy about two nuns who defy the plans of the Catholic Church in Spain and cross the Pyrenees Mountains in search of some magic macguffin that I’ve long since forgotten. Something to do with proof of God’s true intentions toward the heretics, only the macguffin turned out to affect the world on a much larger scale. I can see some echoes of it in The Corridors of the Dead, actually, but it was pretty awful. Filled up two spiral-bound notebooks, and I furiously scribbled during class. Looked very studious, I’m sure! What attracted you to writing fiction when you were a kid? Why do you continue to write? I’ve had stories in my head pretty much from when I could remember. I mean, everyone really does – we play with our toys and tell stories. In 1983, I believe, when I was about 7 years old, I started writing a sequel to the cult movie Tron. It just felt like the natural thing to do; I had come up with the story in my head, imagining the further adventures of those characters and playing with their toys. At some point I started to change the names and traits of the characters that my toys represented, and began creating my own worlds. What genre(s) do you prefer to work in, these days? What is your favorite novel and author within that genre? In a broad sense, I work in urban fantasy, in that I prefer to write fantasy set in our modern world, adding a twist to our everyday reality by either some long-standing urban legend or mythology. I like to specialize in the “weird”. In David Lynch’s film Blue Velvet, we are introduced to this perfect world of suburbia that all starts to unravel and reveal a hidden world beneath with one pivotal event: the discovery of a severed human ear in a field. That’s what I’m aiming for in almost every book that I write, that pivotal moment that warps perceptions. My favorite novel within that genre is Imajica by Clive Barker, though he’s long since stopped writing that sort of fantasy. 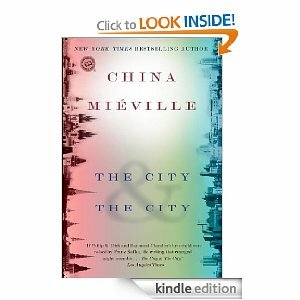 For something more recent, China Mieville’s City and the City has really grown on me. 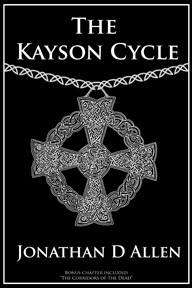 I understand that your short story, The Kayson Cycle, originated as part of a blog fest involving the shared world of Renaissance. Would you like to fill us in on some background for this universe? Well, I can fill in some of the world that we were given – we were basically told that Renaissance had a history as pretty much everything; a high-fantasy medieval-style world, degenerating at some point into a western-style mining town that became a ghost town because of some pivotal event (I’ve offered my own interpretation of this event), and was later rebuilt into a modern town. In my own take of the world, the mines and the mining company are slowly strangling everything that is good and pure about that world for their own profit. In my opinion, The Kayson Cycle has loads of potential for further expansion. (Of course, I might be projecting. All of my short stories want to be novels when they grow up.) Do you have any plans for further work with these characters? Yes, absolutely. This is the prelude to a longer work that may or may not take place in Renaissance; I may change the names since I don’t have full ownership. Still debating that. At this point, it looks like the next step in the story is telling the story of the Stranger and his Wife through their son, 20 years into the future. That story would examine the ramifications of what occurred in The Kayson Cycle and what it means for their world at large. I’m halfway through Corridors of the Dead and am really enjoying it. What ideas or events inspired you to write this book? Thank you! When I was a teenager, I had a neighbor who practiced Enochian Magick. We had long talks about the nature of the system, and eventually he taught me what he knew about the system. It’s difficult to explain it all in one spot, but Enochian Magick is supposedly based upon the Book of Enoch, which was cut from the Old Testament. It told the tale of the rebel angels who came to Earth and mated with human women, creating a sinful civilization that challenged God and was eventually wiped out by Noah’s flood. The story always fascinated me, and put an itch in my imagination: what if those rebel angels were actually other-dimensional creatures, and that civilization was advanced beyond even our own wildest dreams? Some of this has become conspiracy lore over the years, that aliens brought humans here and are responsible for some of the ancient wonders of the world. I wanted to turn that concept on its head – you’ll have to read the book to see just how I do that. Do you have any hobbies or interests that don’t involve writing? Oh, yes. I enjoy video games, travel, photography, and especially music. I enjoy singing a great deal, and I’m in the process of learning the guitar. It’s an ever-evolving process. Right now I’m working on my second novel, Entanglements. This is what I have written up for the plot so far: Kelli, a woman who was spirited away to a mysterious cabin in the middle of nowhere and subjected to strange brainwashing techniques and unnamed drugs, finds her life changed when a highly prized experimentation subject shows up: Carla. Suddenly, dead and distant relatives appear to her and her musical abilities grow by leaps and bounds while the experimentation rots away Carla’s mind. Kelli and a fellow captive fall in love as he explains the plans that are unraveling around them. As Kelli discovers why she and Carla were brought there, they plan to finally escape and destroy the experiment. 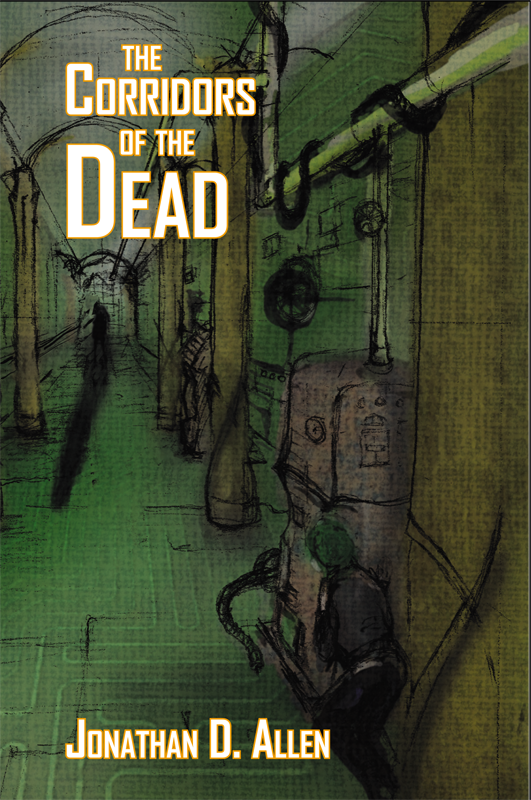 I’m hoping to release that in late March/early April, soon to be followed by the sequel to Corridors of the Dead, City of the Dead, which is still in the planning stages. Life prevented me from finishing Corridors of the Dead before posting this interview, but I’m far enough along to comment. In the broadest sense, this novel reminds me very much of Nine Princes in Amber, by Roger Zelazny. * The characters and world-building details are quite different, but Jonathan manages to capture a similar surreal feel. It’s the sort of novel where, outside of protagonist Matty and her friend Kristy, you don’t know who the good guys are. And it’s the sort of novel where the rules of the universe are revealed bit by bit, sometimes turning the story on its ear. If that sort of story appeals to you, then (based on the first fourteen chapters), I can certainly recommend Corridors of the Dead. *Jonathan says he’s not read Nine Princes (yet), but if you go to his website, you’ll find a series of articles associating Tarot cards with archetypes in fiction. It seems Jonathan has tapped into the same cosmic stream that Zelazny waded in, all those years ago. You could dip your toes in worse waters. And now I’d best get back to final proofing and formatting of Valknut: The Binding! This entry was posted in Authors, Books, Ruminations and tagged Angels, City and the City, Corridors of the Dead, Imajica, Interview, Jonathan D Allan, Kayson Cycle, Mythology, urban fantasy. Bookmark the permalink. Right you are! Silly of me to forget to mention that. I love hearing about writers’ original inspirations. Jonathan, your Tron = my Star Trek (yes, Marie, Trek…the original series). But wow, age 7? I think my first attempt at writing was around age 13, Marie, what about you? And while Jonathan admits his first novel was awful, he also points out that Corridors of the Dead has ‘echoes’ of it, which serves as a reminder to all aspiring authors that nothing we write – no matter how bad – is ever wasted. Thanks for sharing your thoughts with Marie, Jonathan! I first gave it a real try around age 12, I think. In fact, you could go out to Jonathan’s website and learn more about my first attempt here. Jonathan is awesome. He was one of the first writer/bloggers I met when I plunged into this crazy world, and since then, I’ve discovered that he must be my brother from a different mother. We’ve walked several of the same paths. But I enjoyed learning one or two new things about him here. And yes, “prolifiic” is accurate. He’s got a way with words and is definitely putting in the time. Excited to see his success. 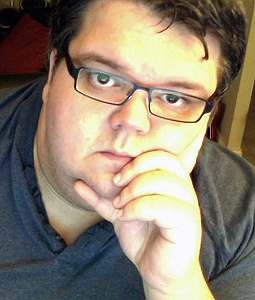 I actually also interviewed him at my site if you get a chance. Thanks for an interesting blog. The workings of a creative mind that lead to the genesis of a novel are always fascinating to examine. I look forward to reading Corridors of the Dead.